Big love goes out to all of you who came out last Friday for the Adventure Loft party. The vibe was stellar and the moves were fancy. Special thanks go out to Andy Barrett and M.a.D, who helped us to turn the place into much more than it has ever been. 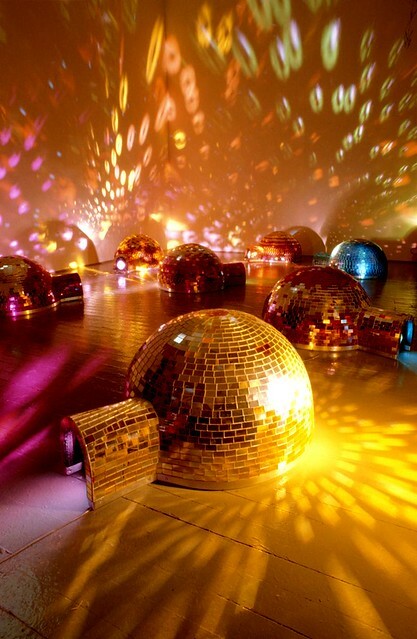 Here’s a shot of Andy’s Disco Igloos in their full glory. After appearing at our party Disco Igloos are now a permanent fixture at the newly opened Cantina Royal (ex-MonkeyTown) in Williamsburg.